A contemporary timber stool design with single mould polypropylene shell. 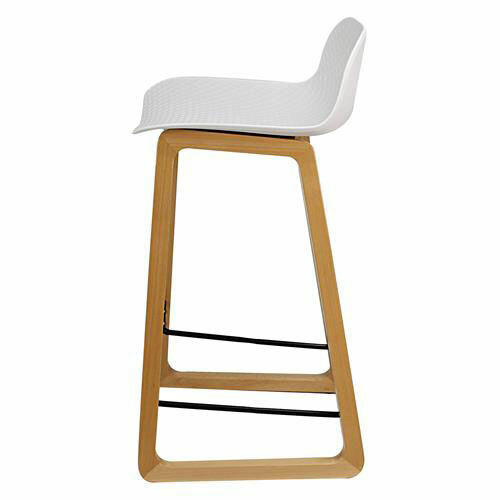 This is a stylish sophisticated stool suited to today’s modern environment. This timber stool not only looks great but is strong enough to withstand high volume, commercial use due to its solid construction and quality craftsmanship. Ideally suited for use in restaurants, clubs, hotels and corporate breakout areas. Construction: Frame Constructed from Solid Natural timber with black powdercoated tube steel footrest.